We found Zena from a website that helps people find suitable pets. She came to us from Medicine Hat, Alberta. 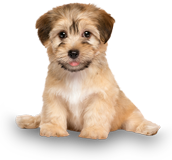 Here is her story: There was this couple that wanted to make a few bucks with their dogs (typical backyard breeders) by designing a new breed of pups. 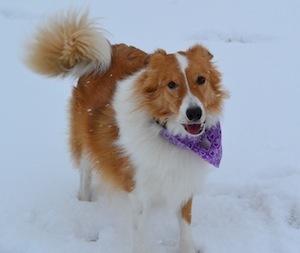 Mom was part American Eskimo/Rough Collie and dad was purebred Rough Collie. The breeder’s relationship ended just when Zena’s mother was pregnant and neither one of them wanted the female. “Sheri” was a kennel owner that received a call from the “breeder” asking her to rescue the dog. Her words were, “Come take the female or I’ll shoot her.” The pups were born in Sheri’s kennel just after she got the mom in August 2008. Zena was born with two sisters, Zelda and Zora, the names were chosen by Sheri, and wanted them all to be “Z” names. Instead of taking the pups to the SPCA, Sheri thought she would “re-home” them. Sheri’s friend Judy got involved a year later because she knew the pups needed socializing and training to make them adoptable. She took Zena into her home in August 2009. She worked with Zena by providing basic obedience and had just started to do rally training when we called to adopt her. When Zena did come to us, she was very afraid of all men, including me, and almost anything else. She spent her first day with us in a pen that we prepared for her to make her transition more comfortable. We really had our work cut out for us with trying to make this dog feel safe and welcomed in our home. It was particularly challenging for me, as I’m accustomed to having dogs run up to me to play. Zena was just the opposite, she would cower and try to hide from me. How do we help a dog regain self-confidence, to feel safe to be with us? After only two weeks with Zena, my wife searched the internet for dog training programs that would help us work with her. I watched the video from Sit Happens and read the many similar stories and decided to make the call. Our first home visit with Sit Happens gave us the encouragement and insight on how their training would help us with Zena. They worked their magic with Zena and by the end of the first session she was actually coming to me when I called her! We decided at that point that since Zena had never been around men that the training would be best done with me. She was very comfortable with women and did not fear them. Within the first couple months, we could see improvements with Zena, she was gaining confidence with every session. Now a year later, Zena is a completely different dog. She is a fun dog, very obedient and has adopted US. She loves playing with our cat Spookie who is the same age and is adapting well to our male-dominated (two adult sons) household. She now lies beside me when we watch TV together. She’s still a little skittish with strangers, but she has come a long way since we got her last year, where she would bolt at the sound of a large truck going by. Garbage day used to be very hard on her, now she’s coping with the sounds of the trucks much better. If it weren’t for Sit Happens we probably wouldn’t have Zena today. 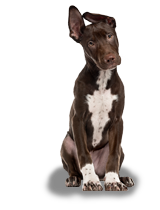 The amazing Sit Happens dog training program helped give us the skills to work with Zena. When we walk our dog off-leash we are always given compliments on how well she behaves. We are now in agility training with her, and she loves it! 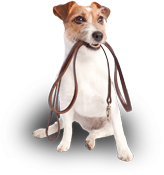 We strongly recommend Sit Happens to anyone that has behavior or obedience issues with their dog. It truly changed our Zena.